We upgrated the APP since June 10th, new APP download follow below keywords. IOS APP: search “wifi e-home system”in apple store. You don’t need to download another APP for the camera, the alarm APP already compatible with the camera APP. 1, Remote control the system from anywhere in the world, turn it on or off, watch through the WIFI camera. Innovative GSM&WIFI&GPRS operation platform. 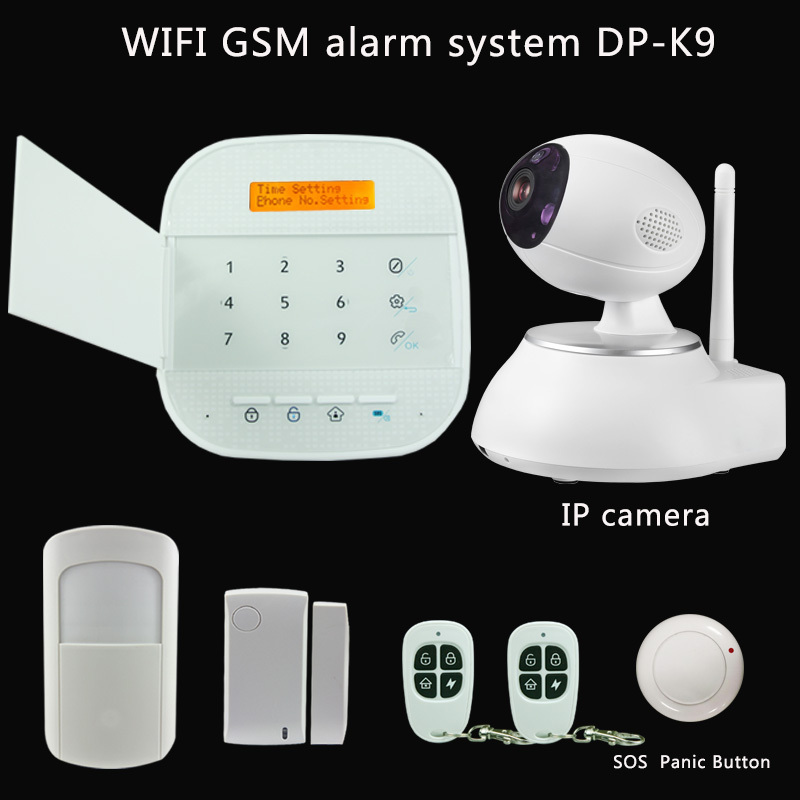 on the wifi network, the alarm system will work without any fee, if no wifi, it will work on gsm automatically, with state-of-the-art WIFI network technology, the system more stable and safer. 2. Two-way communication, keep checking the communication between the main panel and accessories(this function need to install 2 way communication sensor). 3. The system’s APP integrated the IP camera to realize the video record, send pictures to use’s Email when arming. 4. 1 slave wired reply output, supprt alarm output, app control output. 5. 20 slave wireless smart home control to switch light, and other more appliances. Set up to 4 scenes, 8 salves relay per scene. set up in different to combinations, arming/ disarming linkage. 6. APP push message including alarm zone and sensor’s name when alarming. 7. APP check the system in real-time: AC power OK or not, 4 wired zones& 4 RFID zone. zone name/content could be edited by yourself, and set alarm delay or not. 8. Answer alarming calls&remotely make call to the alarm panel(with voice prompt) to start monitoring, voice intercom, talk back, arm/disarm. 9. Answer calls like a cell phone, supprt wired and wireless siren. 10. support CID protocal. 11. Work with IP camera, the IP camera APP embeds in the host APP, you can view the IP camera by phone. 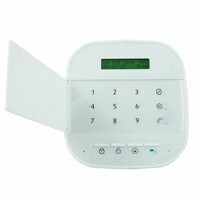 workable with RFID wireless keypad. 12. 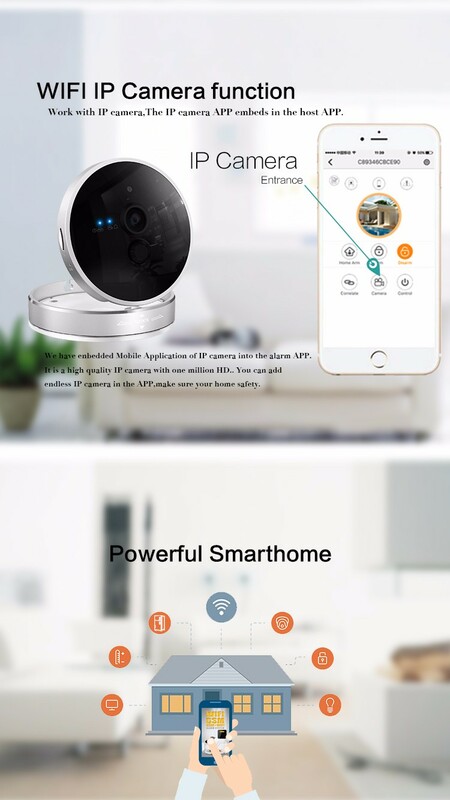 Almost unlimited expandability for a variety of smart home applications. 13. 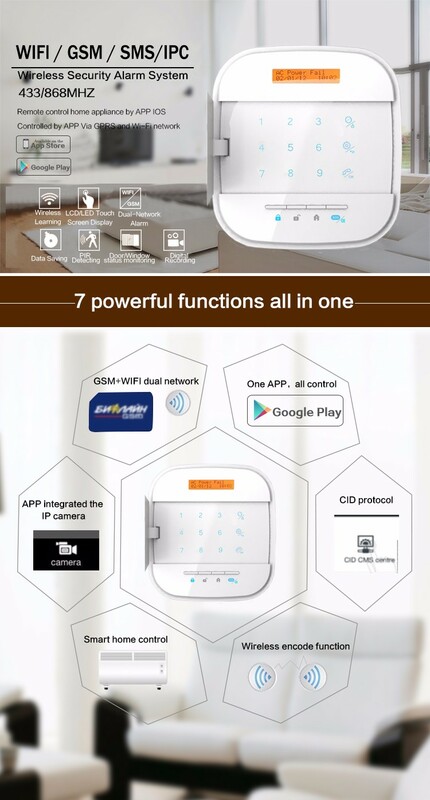 Wireless encode function, support 10 remote key, 24 wireless zones+4 wired zones, 1 to 16 zones can be customized alarm message content, branch-zon of all zones can be set to alarm delay. 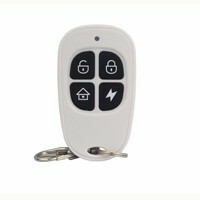 Add new remote key and sensor from APP, more easy to control. 14. 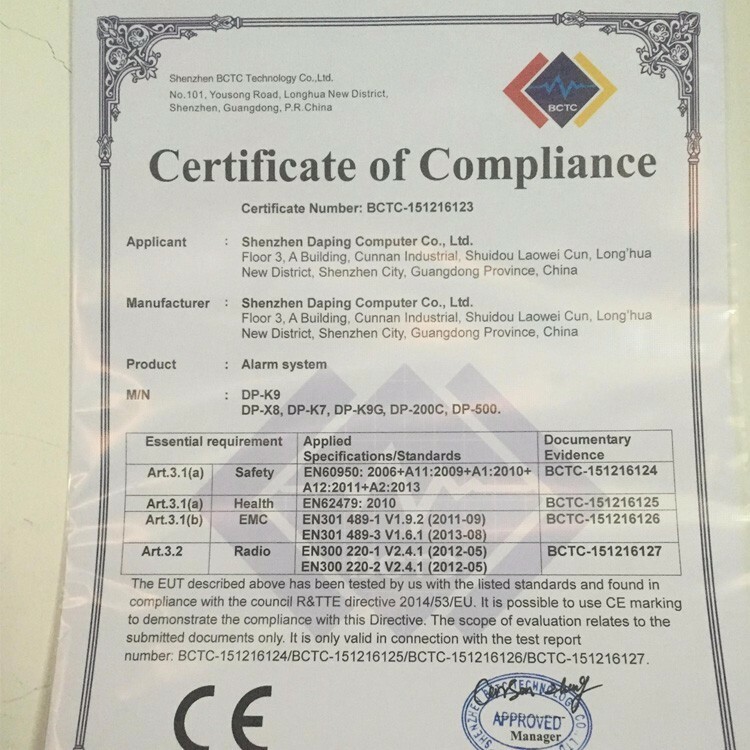 When system alarm, the app alart contents: alarm zone and detector’s name. Welcome to our factory, we provide OEM/ODM service!